Saturdays normally mean a day outside for our little family. We love our new town and try to soak up all there is to do often. 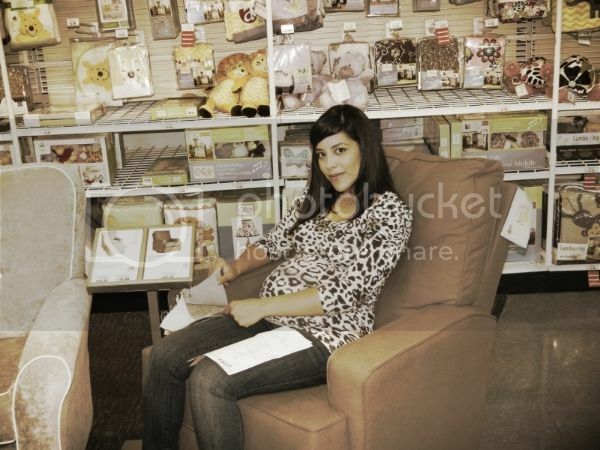 This past Saturday, while on our way out, we decided to give our baby registry a shot. I know many second time moms prefer not to register again or struggle with the idea. I have never felt that way. The way I see it is, every experience may not seem brand new the second time around but it can still be just as exciting and fun. We don't need anywhere near the amount of things we needed when we were expecting Cruze but it's still so important to me to go through all of the same motions and prepare in a similar manner. We even got some similar shots of me testing out the equipment ;) And let's be honest here, the pictures are the most important part! And every few minutes I would look over at my firstborn and think "whoa, I can't believe we get to go through this all over again". After being told I may NEVER be able to have children of my own, it's a pretty amazing feeling. Also, it was a tad more ummm interesting of an experience doing this with a somewhat impatient toddler who kept asking to get up. Needless to say, we didn't get to finish but we got pictures so we're good! Afterwards we headed out to one of our main outdoor shopping stops. The weather was great to just walk. Even when we don't have a plan to buy anything, walking around and enjoying each others company with no schedule is pretty nice. Okay so I had to take a picture of this because I am a sucker for any dessert that includes peppermint. But guess what? This pregnant chic fought the temptation and kept on walking. Although... Phillip bought me a cookie without me knowing so of course I had to, you know, for HIM. We tested out our new "ride" this weekend too. 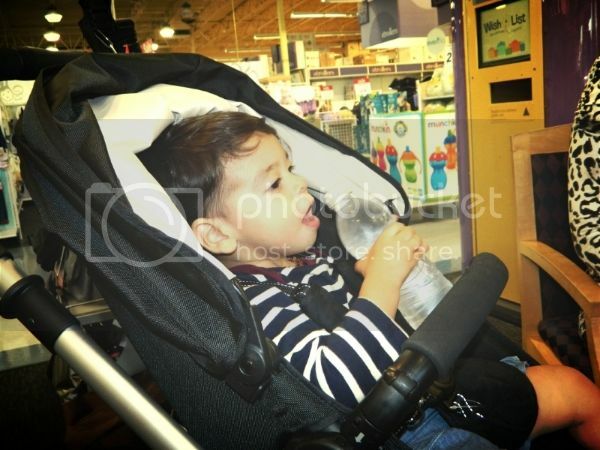 It's a Britax B-Ready and it coverts to a double stroller. 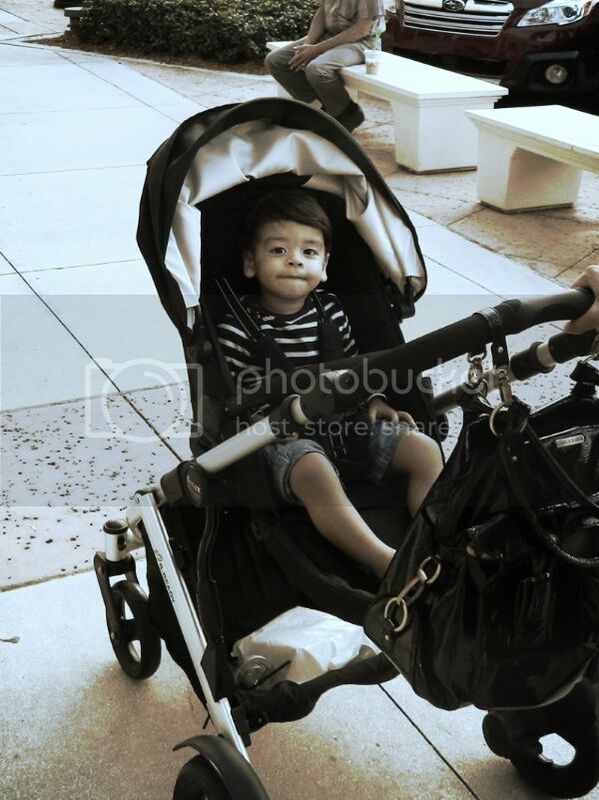 I love it but boy, it is so much heavier than our other stroller. Life of a mom of two. I better get used to all the extra baggage right? We normally go out for dinner on the weekends but on our way home we decided on something wayyyy better. 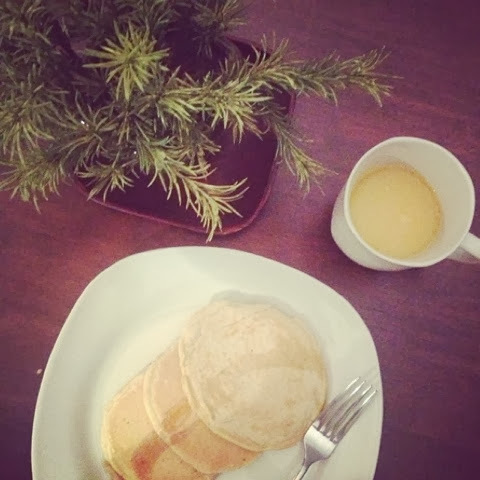 BRINNER!! I can't tell you how much our little weekend adventures mean to me. I just can't get tired of spending quality time with just my little fam. 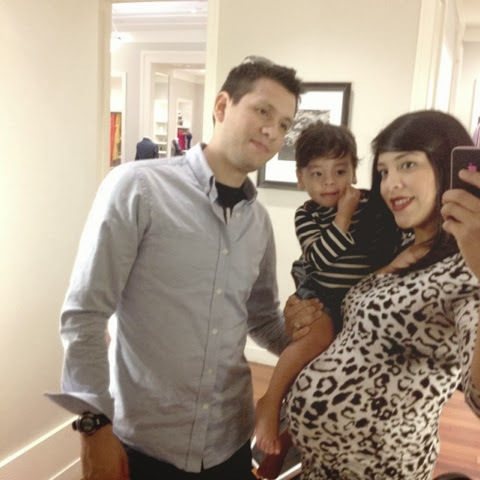 I love our family weekends too such a special time :) and I completely agree on the registering again. For one the baby industry is always coming out with something new so its totally fitting that you register again :) So excited for you on your second bundle of joy !! My goodness you look gorgeous with your bump. It is oh so nice to just meander around town without a real agenda. 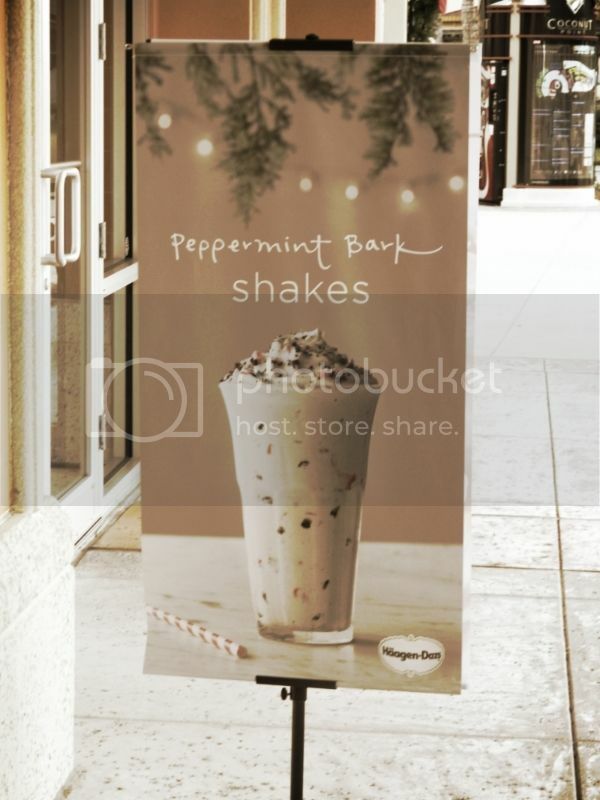 Um, peppermint bark shakes? Make me drool why dontcha.